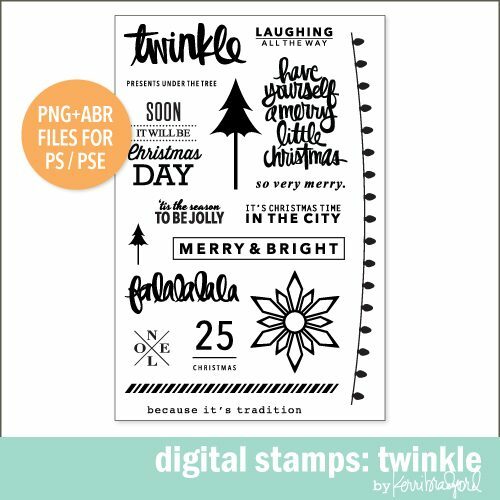 Ahhhh, for the merry making card lover–or crafter–in us all. 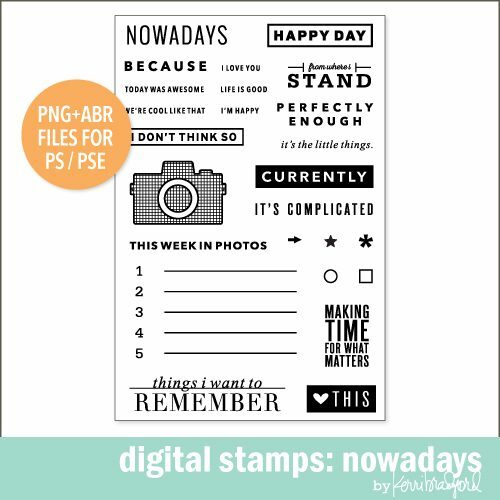 These darling phrases can be used individually, over the tree, or even highlighting words with a paint stripe. 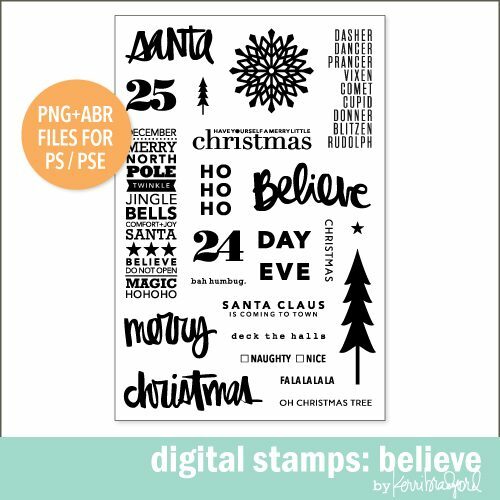 So many fun options to share a festive message! 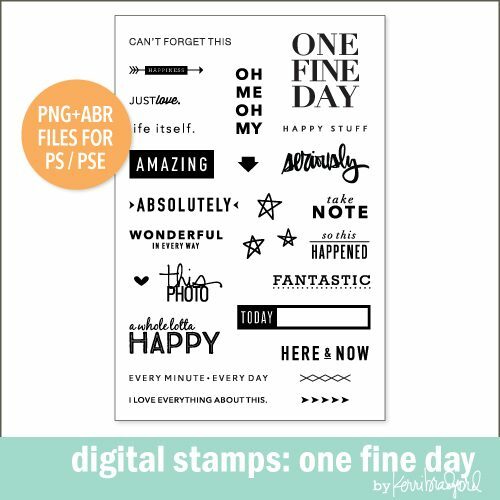 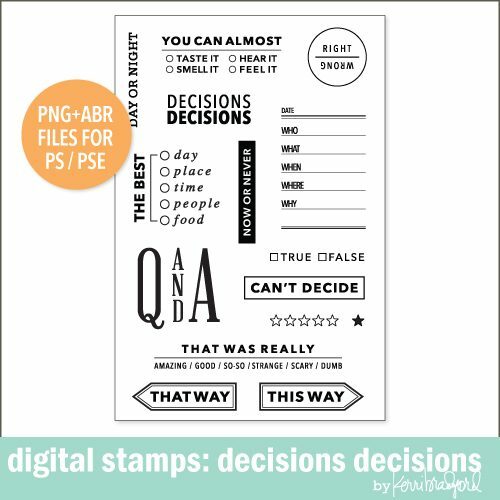 Includes 8 digital stamps in PNG and ABR (PS brush) files only. 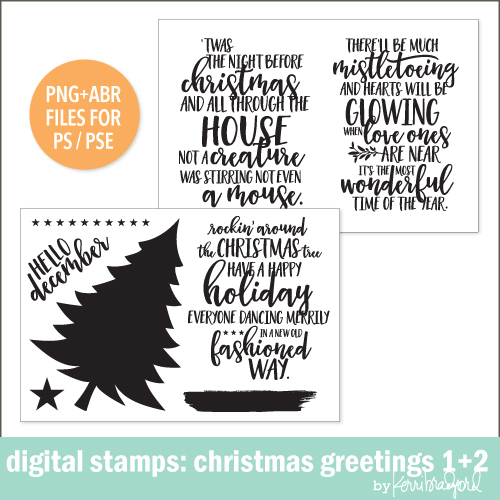 Also check out the Christmas Greetings printable card designs HERE.